The Kapil Sharma Show 10th Sep 2016 Episode: The Kapil Sharma Show touches sneak peak today with 4 stars together on the stage. The show today features Sohail Khan, Nawazuddin and Arbaaz Khan along with Amy Jackson in the Kapil’s house. The show today started with entry of superstars and introduction by comedy King Kapil Sharma. Nawazuddin was seen in latest film ‘Freaky Ali’ with Amy Jackson in the leading roles. The movie had collected bunch of positive reviews from movie critics and fans. 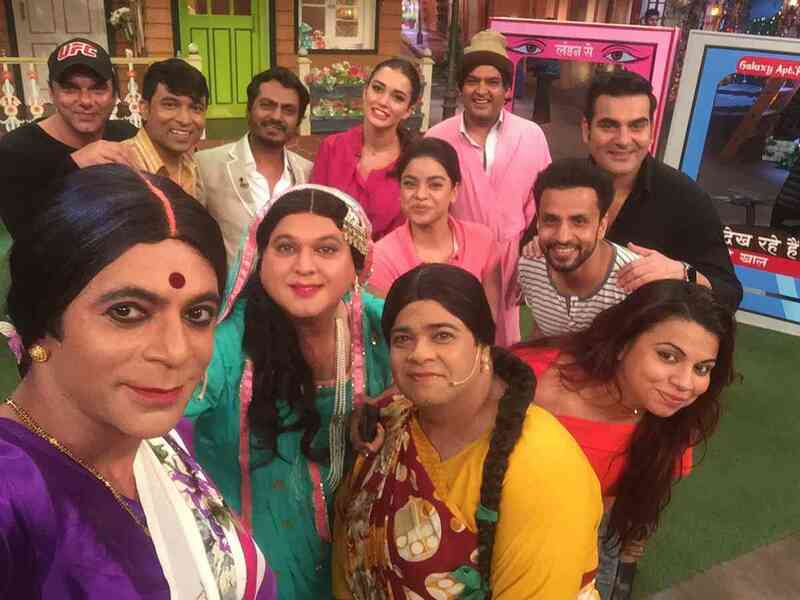 The show included various funny moments from Kapil Sharma’s comments on Amy and Sunil Grover’s unbeatable hockey comedy scene. Sony TV telecasted the show in which Kapil can be seen making some never ending jokes with Nawazuddin. The today’s episode was special for two things, shyness of Nawaz and unbeatable and uncontrollable laughter of Arbaaz. The show was opened by Dadi and she welcomes everyone by Ganesh puja. Then when she caught the electric shock, Dr Gulati came and justified that he can help. Bumper Lottery aka Kiku Sharda came and gave her a shock with unbeatable bad gas. Later it was revealed that Chandu was in face of Organiser to loot Kapil neighbours. Initially the entry was of Arbaaz and Sohail. This was the first time Khan brothers were seen together. They revealed that while fixing the rates for film within brothers, they gave money to the much needed one. Arbaaz revealed an encounter with Salman where he was willing to give a cameo in Freaky Ali. But he denied because he will not suit small role. Both the actors were almost honest while speaking on the stage. Rajiv Laxman was also today on the stage cranking some jokes. The difference was observed in today’s TKSS show as Nawaz was in full mood. His first ever entrance was observed when he rocked the stage with Amy Jackson.